I am a huge fan of Bethesda’s work. I in no way mean to discredit their accomplishments. I am simply making a statement to show how far CD Projekt are pushing the bar with The Witcher 3. The thoughts and opinions in this preview are my own and do not reflect the thoughts of The Koalition as a whole. By now CD Projekt are held in high regard when it comes to creating role-playing games with a limitless amount of depth. The Witcher is their flagship title, and with each entry into the series so far it has become even more ambitious. CD Projekt has now promised a fully open world with The Witcher 3: Wild Hunt, and it’s thirty-five times larger than The Witcher 2. We’ve seen companies like Bethesda set new standards with vast open worlds, offering up to 200 hours of content. But after seeing what I saw at E3 2013, it is safe to say that CD Projekt is out to deliver one of the most enhanced, living-and-breathing open worlds we have ever seen in gaming. The Witcher 3 is designed to be a more personal tale for our Witcher Geralt, and CD Projekt claims you don’t actually have to be familiar with the 2 previous games to jump into The Witcher 3. A force darker and deadlier than seen before emerges in the Northern Kingdoms, and the commanding forces fail to understand the conflict making itself apparent. It is down to Geralt to task himself with eliminating the threats in the world around him, in any way he sees fit. There is no right or wrong way to approach the various concepts that arise in The Witcher 3. There is only choice, and choice is something CD Projekt knows how to present in a thought provoking way. You will be forced into situations where there is no clear ‘good’ outcome. Do you help an alderman enchain all the village elves he claims are secretly working for the Scoia’tael, or do you stop him at the risk of enabling outsiders to storm the gates and letting outlaws in the city to massacre all the humans? The only thing you have to act upon is your inner instincts. You approach the situation based on what you truly believe to be the right way. And you live with the consequences. These choices are presented in a way that games like Mass Effect have failed to deliver. Mass Effect rewards you with ‘Paragon’ or ‘Renegade’ points for the choices you make, but The Witcher 3 strays away from putting you into one box or the other. Your choices are just your choices, and only the characters in the world will judge you for them. Up to this point, Skyrim is hands down my favorite open-world experience to date. I can lose myself for hours walking the lands, discovering caves and raiding them. I find it hard to talk down on my beloved Bethesda, but there are often times where two different quests are related to one NPC. You could murder an NPC’s wife in a previous quest and he’ll be fully aware, but when you fetch him some ingredients he wanted previously he’ll be happy to see you the next time you speak to him. It’s not a bug, it’s a conflict in A.I. The Witcher 3 differs because all 100 hours of non-linear gameplay is tailored to change the world in a specific way depending on the outcome. There are no conflicts in A.I because CD Projekt has taken meticulous care to weave these quests into the universe in a way that matters. Furthermore, the main storyline and side-quests work together to shape the world around Geralt. Your contributions to the world outside of the main story will be acknowledged as you progress through the games main plot. The Witcher 3 boasts a total of 36 different possible endings. One thing that really impressed me while watching CD Projekt’s demo was when Geralt strolled into a village and saw a pack of crows flying over one of the houses. Now if you had been paying attention to the world up to this point you would be able to distinguish that this might mean that somebody in that house is infected with a certain disease that could be spread. In the demo we watched it was a woman, who shared her residence with a few men. These men have hired Geralt to slay a nearby threat for them. So do you tell these men that their lady is infected? Or do you get your money and leave? By observing the environment around you, you will be able to deduct tidbits of information that can help Geralt leverage his bargaining even further. This is a level of depth I have never seen before in a video game narrative. The Witcher 3 will also feature an in game economic system, with the price of goods varying based on surrounding conditions or their place of origin versus Geralt’s current whereabouts. You can buy something for cheap in one town, and sell it at a profit in another town. The price of fish will differ depending on the distance from the water; a village of trappers and hunters will have many tanneries and leather workers, affecting the price of crafting components and armor. The ecosystem is just another example of how much emphasis will be placed the environment around you. Left to itself, the world will continue to live around you. Predators hunt their prey, villages defend themselves against monsters, lovers meet by moonlight. Communities react to temperature changes, they seek shelter when it rains. The environment will also affect combat. The day and night cycle can give some monsters an edge based on the time of day. For instance, you’d be foolishly brave to challenge a pack of wolves by night, but in the day you stand much more of a chance. The combat system in The Witcher 3 has been redesigned in order to include traditional RPG elements, with the speed and precision of a dedicated fighting game. Players will be able to unlock new blocking moves, discover new ways to stun foes, poison their blades and set traps. Combining different skills will allow you to take down foes with different strengths and weaknesses using a combination of creative tactics. You are encouraged to use your brain as a Witcher, because your foes will certainly be using theirs. 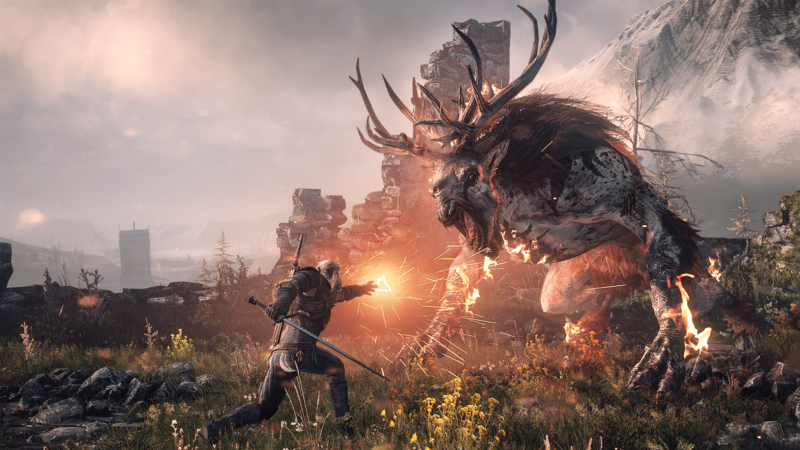 Enemies will lure Geralt forward to attack and then counter in unexpected ways. Some enemies will even flee after taking too much damage. You can then use your wits to examine the environment and track them down. Fans of monster hunter will love the new approach to taking down the different threats in the world. 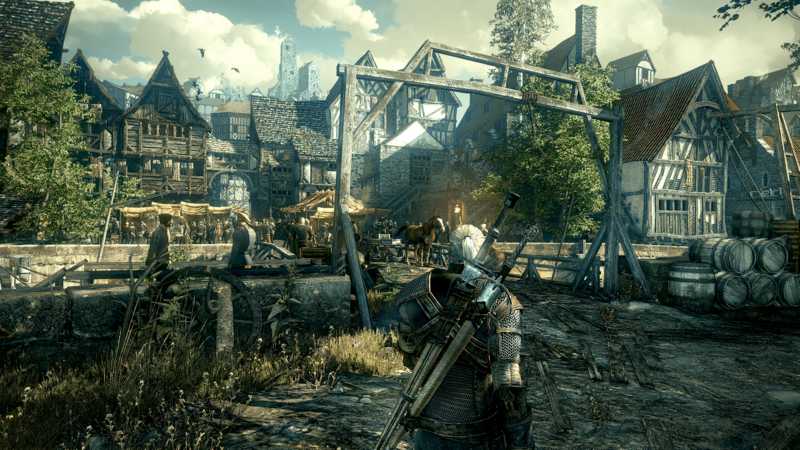 The Witcher 3 is without a doubt the first example of the next generation RPG. I in no way mean to discredit the accomplishments of companies like Bethesda and Bioware. I simply wish to emphasize the fact that CD Projekt are pushing the boundaries to places never reached before. The Witcher 3 is a true representation of what can be done next generation. If there was one game at E3 that showed how far we have come, it’s this one. 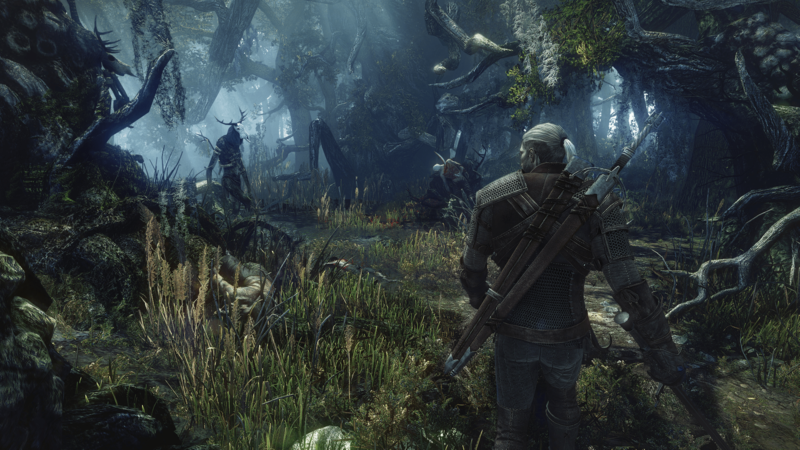 The Witcher 3: Wild Hunt will be available for PC, Xbox One and Playstation 4 in 2014. Don’t miss out.